Most, if not all of you, have heard about the ‘marshmallow task’ experiments conducted at Stanford University back in the 1960’s. In the experiments, a group of three-to-five-year-olds were given a choice. They could either eat one marshmallow immediately or wait 15 minutes and eat two marshmallows. In that study, the ability to wait for two marshmallows correlated with long-term success. The implications seemed obvious. Children with self-control early in life tend to succeed. I have heard some educators argue that the marshmallow task should be used in the admission process for competitive private schools. Others have suggested that the study demonstrated that people are poor because they lack self-control. However, a study just published online in the journal Cognition by Celeste Kidd, a doctoral candidate at the University of Rochester provides a new perspective on this classic study. In her study, Kidd points out that the common interpretation of the classic marshmallow study is based on the assumption that waiting is always the best decision. But what if waiting is not the best decision? What if you can’t trust the adult making the promise and you don’t believe that they will actually deliver on their promise? Then, grabbing the marshmallow when you can is actually evidence of rational thought -- not impulsivity! 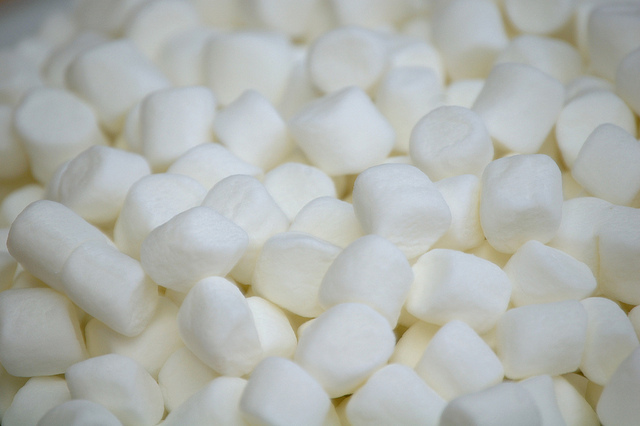 In the Kidd study, prior to beginning the marshmallow task, the children are provided evidence of the experimenter’s reliability. When children believed that the experimenter was reliable, they waited four times as long as those who thought that she was unreliable. In other words, children’s actions are influenced by their perception of the reliability of others' behaviors. While Kidd’s work does not mean that self-control is not relevant, it does strongly indicate that it is premature to conclude that self-control early in life is the major determinant of long-term success. When children cannot trust the adults in their life, seeking immediate gratification makes sense. What is the take-home message? Children need the adults in their lives to be trustworthy, caring, and reliable.